The start of a new year brings with it the hopes and dreams of new opportunities, goals, wishes and aspirations. At least that’s how I look at it. So, for the first office meeting of the new year I always start off talking to the agents in my office about the benefits of a business plan… and every year it falls mostly on deaf ears. It seems like everyone knows that doing a business plan is a smart idea, they just don’t want to share it or be held accountable in any way. I get that. Putting your goals on paper actually means that you have to hit them, and if you don’t then you are a failure. But that’s a myth. Putting it on paper makes it real. Actually I’m one of the lucky ones. I have a productive office so my agents don’t need a lot of hand holding or support BUT everyone in my meeting today had the same common goal… build on the successes of last year and do better this year. 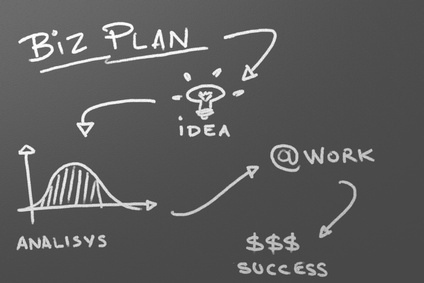 “A business plan is a formal statement of business goals, reasons they are attainable, and plans for reaching them. It may also contain background information about the organization or team attempting to reach those goals”. Pretty simple really, and as a manager I have pressed, unsuccessfully, to discuss business plans with my agents for longer than I care to remember. In a ten-year span, I can probably count on one hand the number of agents who were willing to sit for a half hour and review theirs. That’s ok. Realtors are independent contractors. They can choose to work as little or as much as they choose, but I can say categorically that I can remember three standout meetings where agents had put together well thought out and defined business plans. One couple had amazing success and went on to build a formidable team in the city, one agent went on to become rookie of the year and the other, with his partner were top agents at my office. So….It works. 1. Create a map of the future. It’s hard to know where you are going if you don’t have a guide. 2. Figure out where you want to spend your marketing dollars on, mostly based on what you spent in the previous year. 3. Decide on a course of action. This is essentially scheduling exercise. 5. Fine tune your exit strategy (unless you plan to work until you die). Who is your competition and what services do they offer? What service (s) do you offer that are different or better? Who’s on your team and can you get more business from them? What are the risks and threats you might face this year and what can you do to alleviate those threats? How much money do you want to make? Spend? How do you plan on managing your business as it grows? ← Agent Wants to Know If You Had Any Offers On Your Listing?